Marsha Mason has received four Academy Award nominations for her roles in the films The Goodbye Girl, Cinderella Liberty, Only When I Laugh, and Chapter Two. She has been the recipient of two Golden Globe Awards for her film roles and received an Emmy Award nomination for her role on Frasier. Her television credits have included her recurring role on TV’s The Middle, The Good Wife, Madam Secretary, and Grace & Frankie. While most know her from her roles on film and television, her Broadway credits include Impressionism with Jeremy Irons, Steel Magnolias, The Night of the Iguana, The Good Doctor, King Richard III, and Cactus Flower. 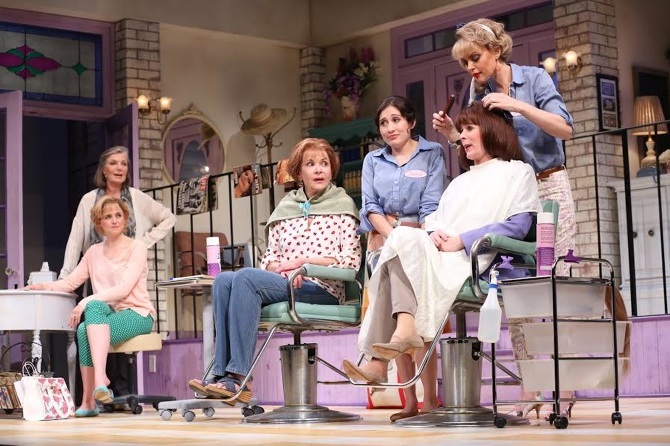 Regionally, she has starred in All’s Well That Ends Well at Shakespeare Theatre in Washington, D.C., A Doll’s House at ACT in San Francisco, Arms and the Man at the Old Globe Theatre in San Diego, and Watch on the Rhine at Arena Stage in Washington, D.C. She has directed Chapter Two and Steel Magnolias at the Bucks County Playhouse; Act of God and the upcoming Chapter Two at Arizona Theatre Company; and is currently workshopping the new play Swimming Upstream, by Tony Fingleton, with the circus troupe Les 7 Doigts in Montreal. Ms. Mason has also taught acting at the HB Studio in New York City and has served as a member of the Tony Awards Nominating Committee.